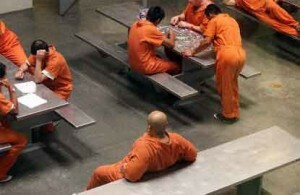 The Obama Administration released waves of illegal immigrants from US detention centers in the wake of sequester cuts. The federal government released groups of illegal immigrants from custody across the country Monday at the same time the White House was making its case that impending budget cuts would harm efforts to protect the border and enforce federal immigration laws. Advocates reported “waves” of illegal immigrants being released from at least three detention centers in Texas, Florida and Louisiana. U.S. Immigration Customs and Enforcement confirmed the release of some illegal immigrants Monday night but would not say how many or from which detention centers. The sequester involves trimming $85 billion from a $3.6 trillion annual federal budget, or about 2.4 percent. But the Obama administration is not willing to cut a dime from the budget and is now releasing illegal immigrants in protest.